Rev. George C. Gilbert, Sr.
Reverend George C. Gilbert, Jr. The Hospitality and Usher's Ministries serve guest lovingly and has care for the entrances of the church. It is the goal of the Hospitality and Usher's Ministry to make everyone feel loved and important. We love to smile, help others, and to show the love of Jesus to all. 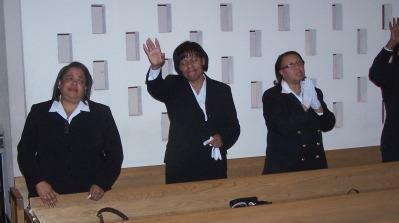 We would love to serve you, as you visit the Holy Trinity United Baptist Church.